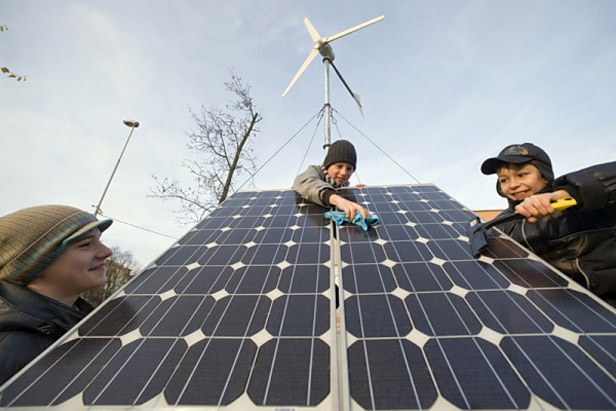 Youngsters at the Kaliningrad Station of Young Technicians have installed a device to obtain renewable energy. Device consists of two solar panels and one wind generator kit. Schoolchildren were provided with 6,500 USD form Kaliningrad city’s budget to buy the equipment. Solely the children themselves maintain the mini-complex. Solar lights that charge during the day and light up at dusk are the good solution to illuminate walkways. Collected energy is also used to charge various equipment, like electric drills. Speaking of renewable energy, Russia is currently developing a 50 MW Geothermal power plant in Kaliningrad.